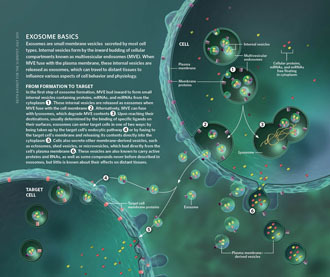 Extracellular vesicles (EVs) are membrane-coated objects such as exosomes and microvesicles, released by many cell-types. 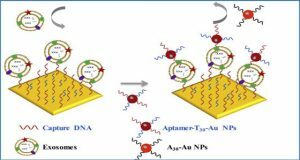 Their presence in body fluids and the variable surface composition and content render them attractive potential biomarkers. 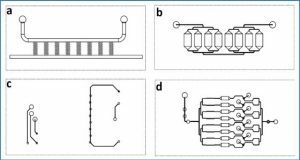 The ability to determine their cellular origin could greatly move the field forward. 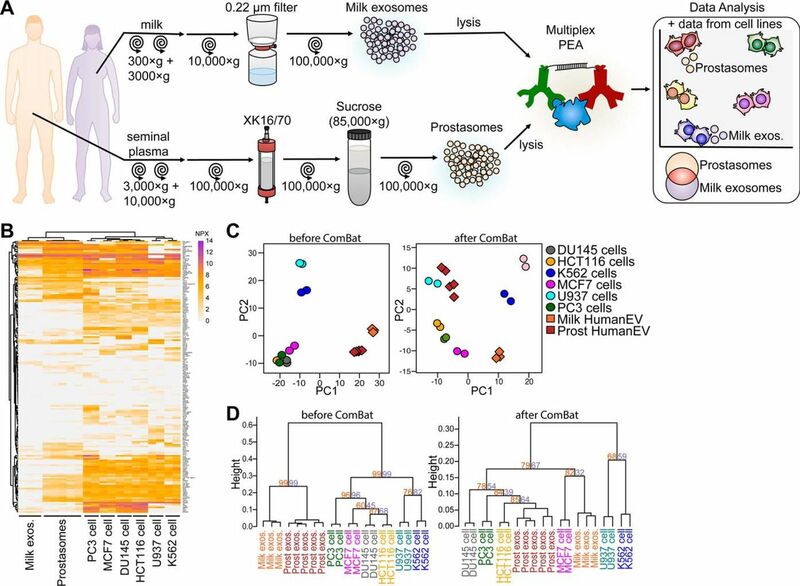 Researchers at the Karolinska Institutet used multiplex proximity extension assays (PEA) to identify with high specificity and sensitivity the protein profiles of exosomes of different origins, including seven cell lines and two different body fluids. 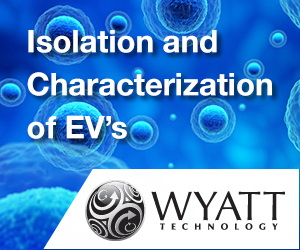 By comparing cells and exosomes, they successfully identified the cells originating the exosomes. 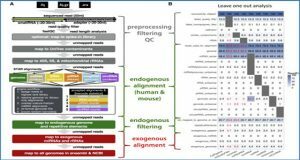 Furthermore, by principal component analysis of protein patterns human milk EVs and prostasomes released from prostate acinar cells clustered with cell lines from breast and prostate tissues, respectively. 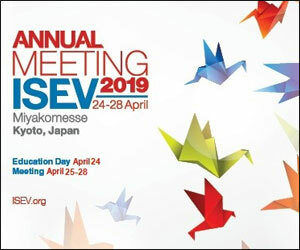 Milk exosomes uniquely expressed CXCL5, MIA, and KLK6, whereas prostasomes carried NKX31, GSTP1, and SRC, highlighting that EVs originating from different origins express distinct proteins. 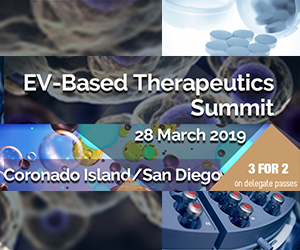 In conclusion, PEA provides a powerful protein screening tool in exosome research, for purposes of identifying the cell source of exosomes, or new biomarkers in diseases such as cancer and inflammation. A, Illustration of experimental layout. 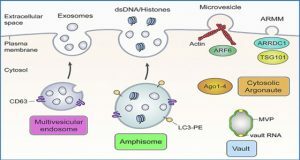 Briefly, breast milk-derived exosomes and prostasomes isolated from healthy donors were submitted to multiplex PEA, and further compared with six cell line lysates . 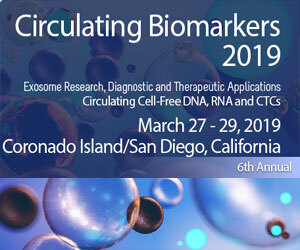 B, Heatmap for proteins detected in U937, K562, HCT116, DU145, MCF7 and PC3 cell line lysates together with milk exosomes and prostasomes. 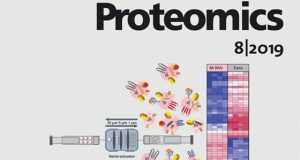 C, PCA comparing samples before and after removal of cell- or exosome-specific proteins using ComBat analyses. 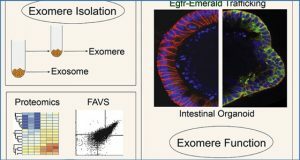 D, Hierarchical clustering for cell lysates and body fluid-derived exosomes before and after removal of cell- or exosome-specific proteins with ComBat. Protein levels are shown as NPX values. For dendrogram, heights represent dissimilarity among clusters and numbers on the plot indicate approximate unbiased p value (orange) and bootstrap probability (purple). Two to five biological replicates were analyzed for each sample type.